Blood oranges are a favorite ingredient of mine in cocktails and baked goods. 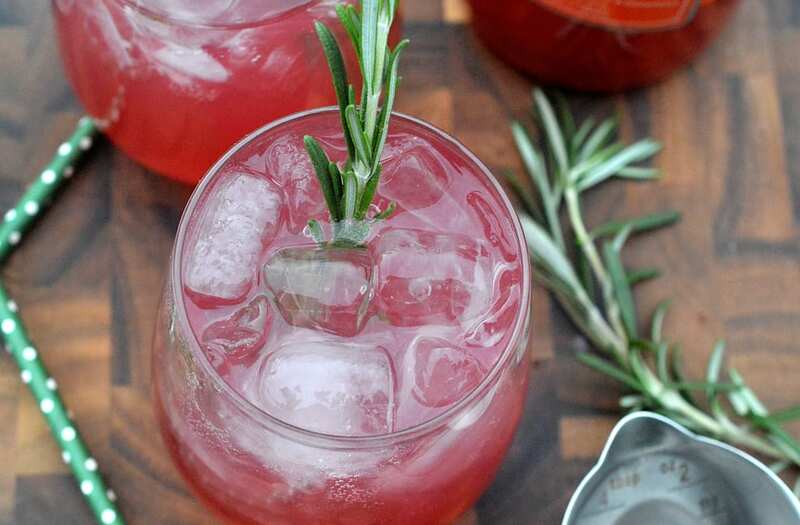 This Blood Orange Rosemary Vodka Cocktail is delicious. in 5 minutes or less you could be sipping away! What a game-changer! The intoxicating scent of fresh lemon wafting up, sip after sip enhanced the drink tremendously! I loved it...as evidenced by my quadruple refills, lol! SO...I decided to try this simple trick at home using Rosemary. 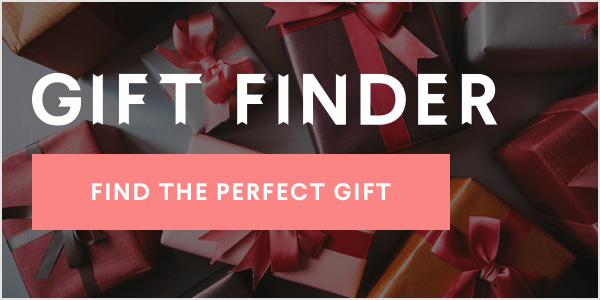 I had heard about Stirrings.com and their Blogger Recipe Challenge and figured...why not submit something. I'm a gal that enjoys cocktails after all! I came up with this Blood Orange Rosemary Vodka Cocktail using their Blood Orange Martini Mixer, which is great for more than just martini's. 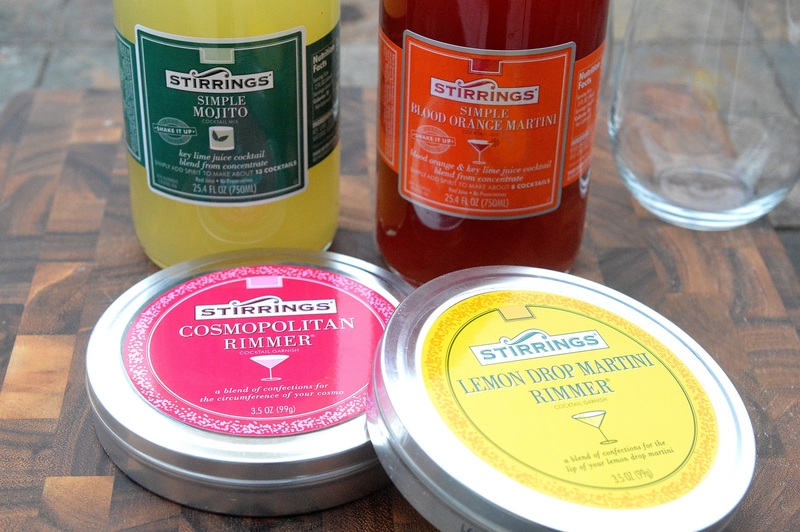 Stirrings has so many delicious mixers to choose from. I recently used their store locator and found some of their product line at the Acme 10 minutes away. In addition to mixers, they have bitters, simple syrup, cocktail rimmers and more. My daughter likes to rim her glass with sugar when she makes variations of homemade lemonades. Having a couple Stirrings rimmers on-hand save me from her "dying her own" sugars, lol! Plus, ummm...I like to rim mine too! I love Blood Oranges in cocktails, they are only available briefly each year, so now I have a go-to mix in for that flavor I crave. I've even mixed it with Sprite, Club and even water for when I want a non-alcoholic flavored drink. That, the Lemon Drop, the Pomegranate...they all work great and the flavored are really tasty! Check Stirrings out! I am sure from all of their creative offerings you will find a few you enjoy too. I keep wanting to try the Bloody Mary Mix...Next shopping trip! 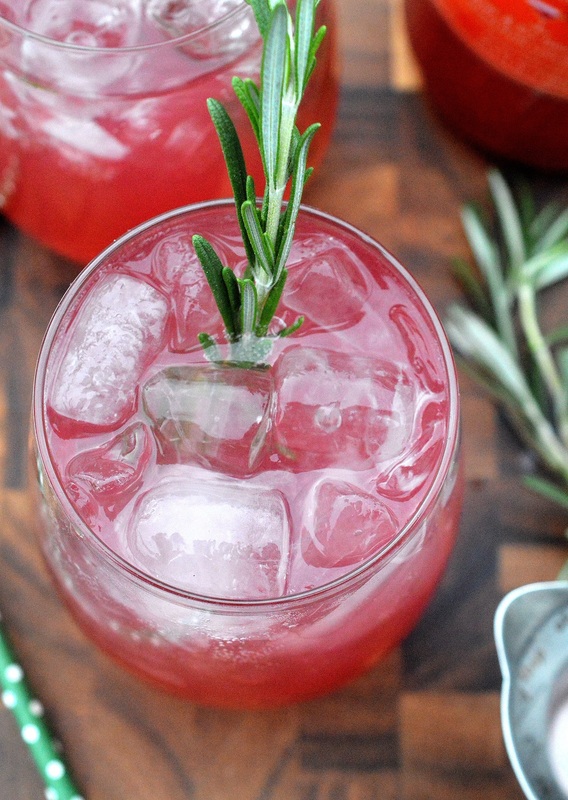 This Blood Orange Rosemary Vodka Cocktail is enhances by the fresh rosemary, as you lift the glass to take a sip, you smell the rosemary and the blood orange...Scrumptious! Rub the spring firmly all around the rim of each glass. Fill a 16 oz glass 3/4 of the way with crushed ice. 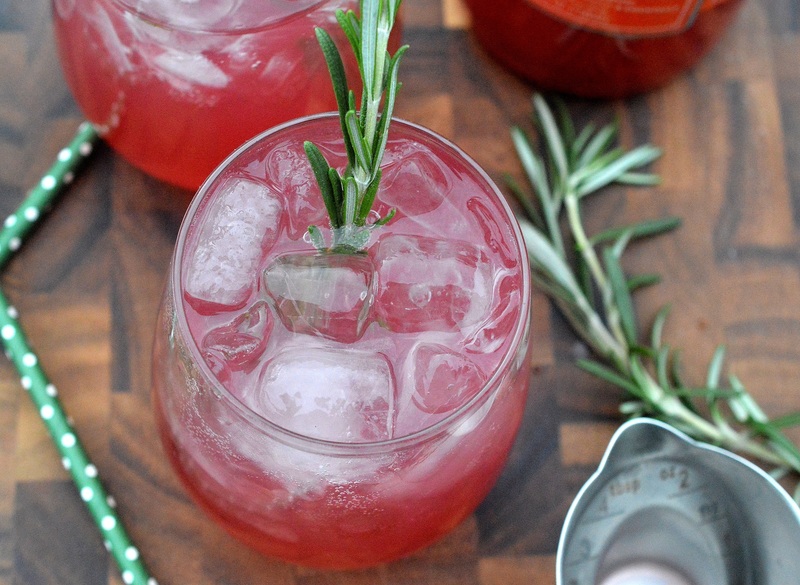 The post Blood Orange Rosemary Vodka Cocktail appeared first on Souffle Bombay.